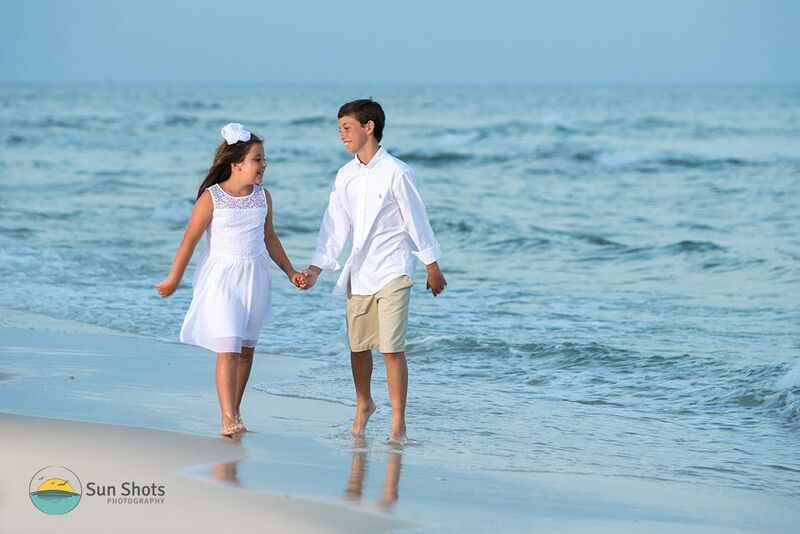 Have you taken an Orange Beach family vacation lately? You are missing out if you haven't. Our quaint little island is a perfect spot for family fun. I once heard someone say we were a fishing village with a picture problem. I just laughed and realized, they were right. The fish are plenty, and the Kodak moments are everywhere. They are everywhere because we are blessed with the opportunity of having great family vacationers that love to have fun. From perfect seafood to every outdoor adventure you could possibly imagine, you just couldn't get closer to paradise than a visit to Pleasure Island. Even the name of our little island is inviting the idea of family fun into the picture. Today's shot of the day is a prime example of what I am talking about. Take these two little boogers from last night's sunset session. They were all about the fun. They didn't even care that they were mortal enemies back at the home front, they were on vacation for keeps sake, and they were gonna make momma happy by capturing this Kodak moment for her. Honestly I think they were having so much fun, they didn't even realize we suggested they hold hands and walk down the beach. Us adults sure did take a grasp when we saw the two connect. Mom's grin went ear to ear, as she said under her breath, "There goes my Christmas card!" To be honest, my smile grew too, because I knew we had captured an image that is going to be cherished for generations to come. One of the simple pleasures of being an artist. Thanks so much guys for taking the time out of your vacation to book a session with us at Sun Shots, we look forward to working with you again in the future.